"Solution driven and fully qualified, STC steps up to meet the needs of telecommunications companies requiring a reliable partner for their system development." STC Netcom is one of the Western Region's largest full service providers specializing in wireless communications site development - site acquisition, project management, construction, installation, maintenance and technical support. 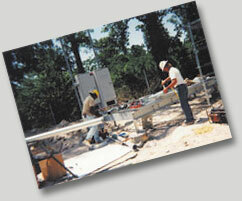 Our team, comprised of in-house personnel, provides turnkey solutions to the wireless industry. STC can ensure that all phases of a project - from leasing to on-air are on schedule and synchronized. Solution driven and fully qualified, STC steps up to meet the needs of telecommunications companies requiring a reliable partner for their system development. And, we don't stop there, as we understand the necessity for continual expansion and advancements in technology. Our management team, construction professionals and installation technicians are among the best in the business - thoroughly trained, efficient and guaranteed to conduct their work in a most professional manner. Their experience and expertise in communication systems services encompass all technologies ranging from paging, two-way radio, cellular, PCS, microwave, wireless data, and today's cutting edge technologies. Our customers include telecommunication companies requiring the construction, implementation, and maintenance of antenna structures for wireless voice and data communications, as well as companies that own and build towers, and market them as vertical real estate. We have managed and built hundreds of turnkey installations for many of the wireless carriers operating throughout the United States. They know us as a quality service provider, with the highest professional and ethical standards. Please visit the Referrals & References page on our website for more information.